A Horsham man has been handed a prison sentence after being caught in possession of drugs. 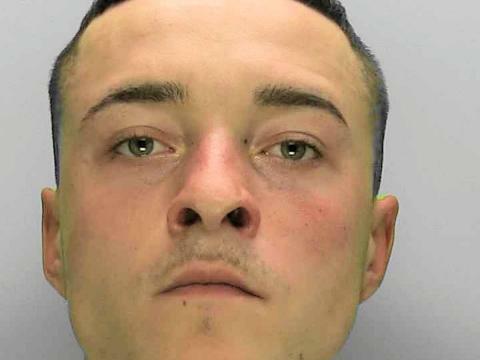 Thomas Griffiths, 21, of no fixed address was spotted acting suspiciously by officers in The Forum, Horsham on November 14. Griffiths attempted to flee from the scene but following a short pursuit on foot, Griffiths was detained. Officers conducted a search and found a large quantity of cannabis and cash in a rucksack Griffiths was carrying. The decorator was arrested and later charged with possession with intent to supply class B drugs (cannabis), possession of a bladed article in a public place and the acquire, use or possession of criminal property. 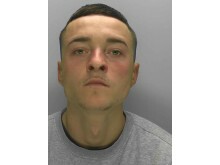 Griffiths pleaded guilty and was remanded in custody until he appeared at Lewes Crown Court on Friday (February 1). He was sentenced to 18 months in prison, given an order for forfeiture of the drugs and cash and to pay a £140 victim surcharge. Investigating officer Tom Hawkins said: “Our officers had attended the area for a different matter when they spotted Griffiths acting suspiciously and dropping the rucksack he was carrying. “It is vital that we do all we can to prevent the supply of drugs causing harm to the community.